The major reasons why the split air conditioning systems easily replaced window unit air conditioning systems, throughout the world and became quite popular are the choice of installation space and the aesthetic appeal. Now, depending on your particular circumstances and factors such as climatic conditions, property type & space, architectural style, budget, and so on, this kind of AC system can be just perfect for you. But, to decide this, you have to evaluate these factors, on the basis of the operating mechanism of split AC. 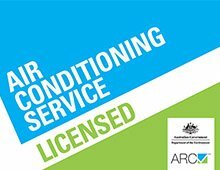 With respect to climate, you can rest assured as split system air conditioning works well in Northern Beaches, Warriewood, Frenchs Forest, Beacon Hill, Cromer, Balgowlah, and other areas of Sydney. But, to arrive at a conclusion, we have tried here to educate you on how split AC works. Split AC got its name from the design, as it comprises of two parts, or segments, or sections, or units – whatever name you like! These parts or units also define the installation pattern, leading to each unit being installed separately, and thus two areas in the home need to be worked upon. Also called as the ‘compressor unit’ or ‘condensing unit’, it is mostly located on the floor or wall outside the home, for example, in the backyard. Refrigerant: This chemical substance is an important element of split system air conditioning. Additional: Some sensors, timers, valves, and other small components are also a part of the AC system. Indoor and outdoor units are connected through copper tubing and electrical wiring, which play a strong role in the entire cooling system in terms of refrigerant transmission and efficiency. Technicians performing split system Installations take due care of this. Evaporator coils are filled with refrigerant, which is in the liquid form and has a high pressure. Now, when you switch on your AC, this refrigerant starts to absorb heat from the room and evaporates to become a gas. But in the process of evaporation, the fans blow the cool air generated, around the room. But, what happens to refrigerant? The chemical makes its way to the compressor, i.e., outside the concerned room, in the form of low-temperature and low-pressure gas. Compressor or as rightly called the ‘heart’ of the AC, compresses the refrigerant, and increases its temperature and pressure, making it a hot and high-pressure gas. This gas then moves to the condenser (which means it is still in the outdoor unit) where it condenses into cool liquid. The heat absorbed by the condenser is removed by the fans, located in the outdoor unit, into the outer environment. The refrigerant in the liquid form travels through an expansion valve and reaches back to its original position, i.e., evaporator. This flow of refrigerant or coolant continues during the entire lifecycle of split system air conditioning. If after reading this, you are sure to adorn your home with Split AC (Ductless AC) or want to clear your doubts regarding split system installations in Northern Beaches and Warriewood, contact us. Our team has proficiency in providing solutions for Multi-Split ACs and Packaged ACs (which are one type of Split AC) as well. 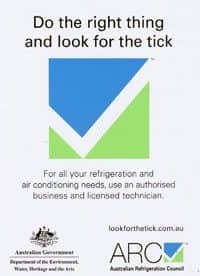 We suggest the right brand and model and install the split system air conditioning across Frenchs Forest, Warriewood, Northern Beaches, Cromer, Balgowlah and Beacon Hill.